This year I became a patron of the arts actually commissioning artwork. A while back I mentioned Colin Wyatt and how he drew for Playhour Comic taking over drawing ‘Harry Hamster’ from Peter Woolcock. I jokily asked Colin if he would be interested in resurrecting Harry for me and he replied he was more than happy to do so hence the new picture on the website front page. I’ve still not made a real connection between Harry and PAN but I’ve a good imagination! 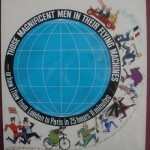 Amongst my Christmas presents were two pieces of artwork by Glenn Steward namely the front and back covers for ‘That Magnificent Air Race’ the novelisation of the film ‘Those Magnificent Men in Their Flying Machines’ by John Burke. I am still trying to work out how best to scan them as they are framed and under glass and I’m reluctant to cut it open. Here they are photographed through the glass, more on this book in a later blog. 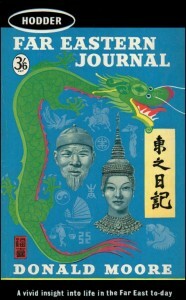 The answer to John’s question is ‘Yes’ the hand is still there and I’ll do a better scan of both covers soon. Does anyone know the artist? Finally I’d like to say Happy New Year and here’s to many more blogs in 2016, keep those questions and comments coming. 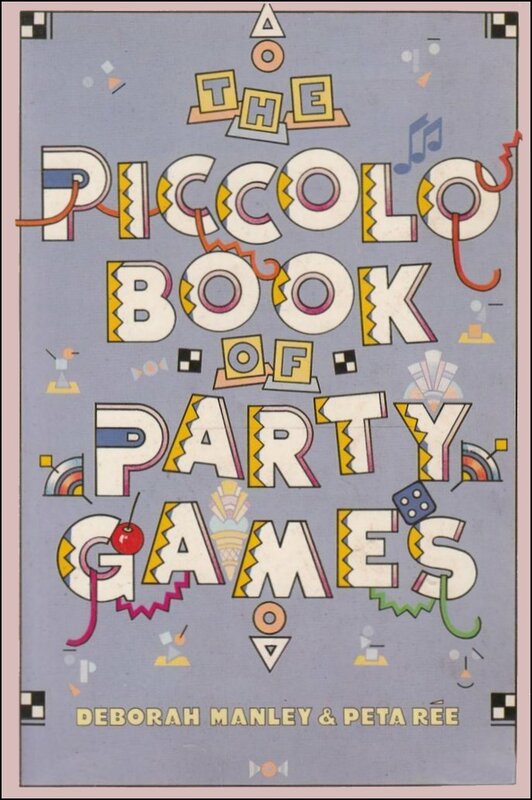 As this will be the last blog before Christmas I thought I’d join in the festivities by looking through my book(s) of party games written by Joseph Edmundson. 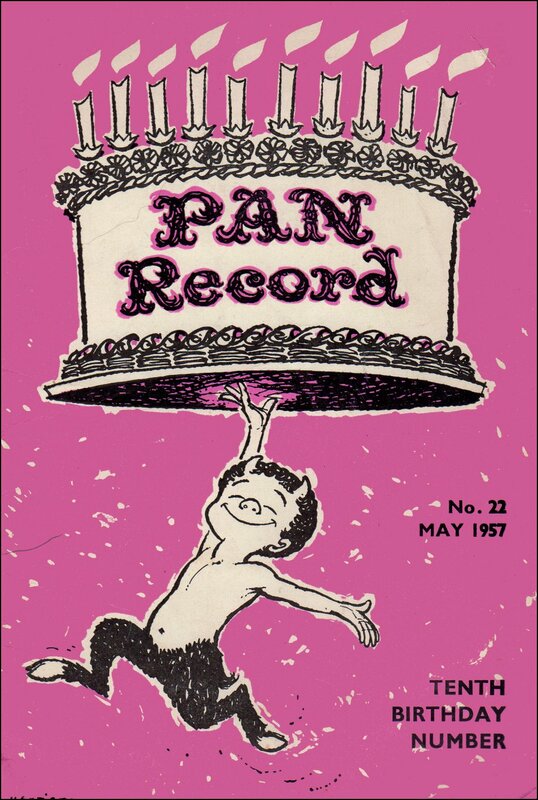 The problem arises as to which one as PAN actually published nine variations over the years from 1958 to at least 1974 with some as PANs, some as Pipers and one for Golden Wonder crisps. 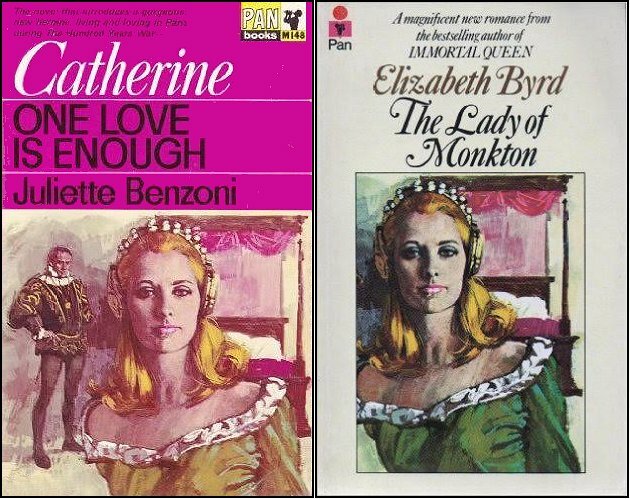 Later versions became amalgamations of the first and second books. Click HERE to see all the versions I’ve found so far. 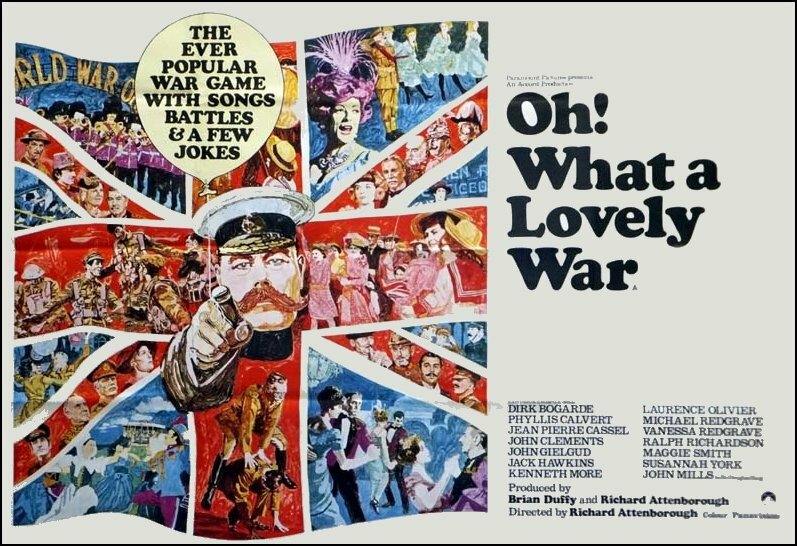 I was watching ‘O What I lovely War’ when I noticed in the credits the name Charles Chilton and found it was the same writer as featured in a previous blog. 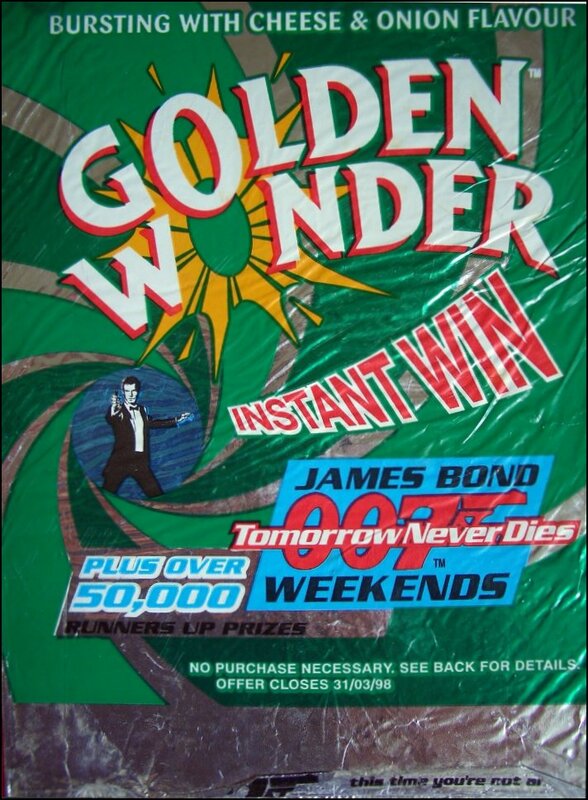 There is also a connection in that Brian Sanders painted the original film poster as well as many PAN covers. There is a third tenuous link in that Len Deighton is also credited as a writer and Raymond Hawkey designed three of Deighton’s book covers including ‘The Ipcress File’ as well as ‘Thunderball’ for PAN who then used Hawkey’s format for the other thirteen Bond titles. Happy Birthday to TiKiT and an Anniversary? 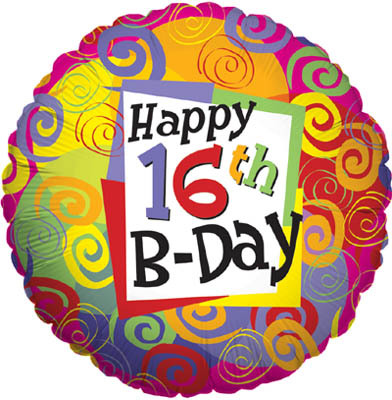 I ‘googled’ to see what happened on the 16th December 1999 and I can find no mention of one momentous occasion in the last century namely the birthday of this website so Happy Birthday to tikit.net which will be 16 years old on the 16th this week. 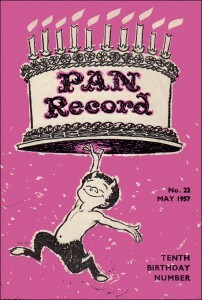 Talking of birthdays reminded me of a puzzle that has literally been around for years and that is ‘When should PAN be celebrating its anniversaries?’ In 1957 the PAN Record magazine claimed that year was the 10th anniversary so they had decided to count from the year PAN title numbered one was published and not from 1944 when PAN Books was established or from 1945 when PAN actually published its first book. It is made more confusing by PAN publishing in conjunction with CQ magazine ‘Native Tongue’ by Carl Hiassen with PAN 50 Years on the spine. Inside it states it was published in 1992 but it could be old text with a new cover but on the last page it shows 8/95 which ties in with my assertion but not PAN’s who celebrated 50 years in 1997. After mentioning Wikipedia deleting David Tayler’s page last week I’m pleased to report I have since found this site Deletionpedia which I hope means he’ll live on in cyberspace. He is on my list of artists whose work deserve their own page. 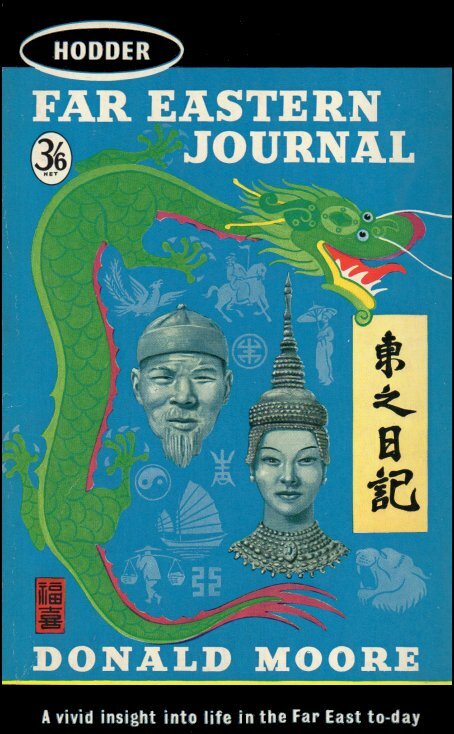 Very little is known about Carl Wilton apart from the fact he was a prolific cover artist painting numerous covers for PAN amongst others in the early 1950’s. 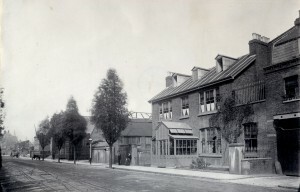 Searching on-line I found several references to a Carl Wilton living at 8a Wentworth Studios, Manresa Road, Chelsea in the mid 30’s (where Dylan Thomas lived during the war) This Carl Wilton appears to have moved in the late 40’s and early 50’s to 5c Chenil Studios, Kings Road, Chelsea. 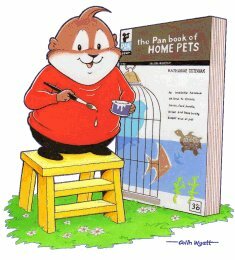 Click HERE to see the original artwork for 23 Wilton PAN titles. The reason I mention Carl was that I have just picked up some original artwork by him from 1960 though not for PAN but Hodder and Stoughton. 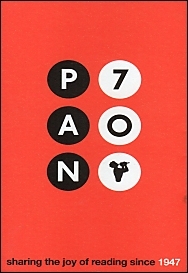 There is a link between these two companies because as from the 3rd May 1947 PAN had the financial backing and titles it needed to expand thanks to help from these three major publishers, Collins, Macmillan and Hodder & Stoughton. 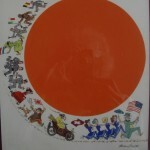 Shortly afterwards a fourth, William Heinemann, joined them. 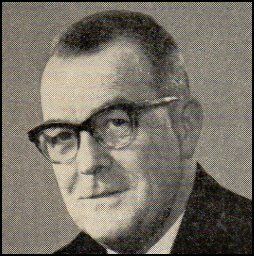 Hodder had been reluctant until Alan Bott finally persuaded Hodder & Stoughton’s Editorial Director Leonard Cutts to join and Ralph Hodder-Williams was nominated to the Pan Board. If anyone can add any information about Carl Wilton a lot of people would be very pleased especially post 1957 when he seems to have disappeared, possibly died, but I can find no record of this event. 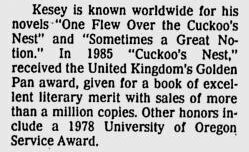 Just found the following cutting from the Sidney Morning Herald from July 21st 1976 mentioning the ‘Golden PAN Award’ set up in June 1964 by PAN Books for authors selling over a million copies of a title. I’m currently attempting to compile a list of all award winners with their book titles but I think I’m going to have to bite the bullet and consult PAN to see if they have a definitive list. The main problem is that several other organisations also have awards with the same name for things like gold panning, food banks etc. plus there is also a Golden PEN Award for new writers but again used as a name by several organisations including the Nigerian Brewing Company. I do have a standing invitation from The British Museum to let them know when I am next in London and able to visit as they will get the original Roman bronze, used by PAN as the basis for their award, out of storage in the Hamilton Collection. Tailpiece – Just found that David Tayler has been deleted from Wikipedia. He was marked for this for some time and we tried to keep his page but it went yesterday. I’m left wondering why, when you see how many pages of dross are still on there! I’ll make a page for him on this site ASAP.